The Allyn B. Giffin Medical Foster Care (MFC) program is part of Florida's foster care systems. MFC provides short-term placements for children ages 0-21 who have complex medical problems and are clients of Florida's Department of Children and Families. Children with G-tubes who take little or no nutrition by mouth. Children with potential life threatening illnesses such as HIV/AIDS, cancer, cystic fibrosis, sickle cell anemia, etc. 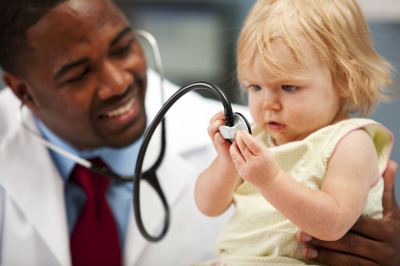 Children who have medical problems as a result of abuse or neglect (burns, fractures, Shaken Baby Syndrome). Infants who are drug exposed and require medication or treatment. The Allyn B. Giffin Medical Foster Care (MFC) program provides family-based individualized residential care to children ages birth to twenty one who have complex medical problems.